As credited by the IMDb, Chang Cheh directed four movies in 1967 and one in 1968. He directed six in 1969, four in 1970 and six in 1971. Eight in 1972, six in 1973 and another eight in 1974. Five each in 1975 and 1976. Four in 1977. Five in 1978. Four in 1979 and six in 1980. Three in 1981 and four in 1982. Between his first Shaw Brothers production, The Butterfly Chalice, in 1965, and 1986’s Great Shanghai 1937, he directed at least one film every year, with a grand total of eighty-six feature films (out of a total of 92). That includes 76 over his peak years of 1967-1982 (an average of almost five films per year), when Chang Cheh films were synonymous with the Hong Kong action film, pioneering every stage of the genre’s Golden Age, from wuxia swordplay films to Republican era gangster sagas to Shaolin kung fu films to baroque interweavings of wuxia tropes with Gothic mystery and horror traditions. Along the way he helped launch the careers of dozens of stars and directors, and was the driving force in the transformation of an industry built around elaborately designed musicals and iconic leading actresses to one obsessed with traditional ideas of manliness and muscularity, where handsome shirtless men lovingly express their devotion and loyalty to each other before beating the hell out of other, less handsome but equally shirtless men. It’s this code of brotherhood that has proven to be Chang’s most enduring legacy, directly inspiring the “heroic bloodshed” genre of policier pioneered by his former assistant John Woo, and thus more or less every crime film made in the last 30 years in Hong Kong and beyond. But where Woo finds in the code a source of moral tragedy and spiritual transcendence, and Johnnie To and Ringo Lam find it to be nothing more than a cover for the cynical maneuverings of forces and institutions beyond our comprehension, for Chang Cheh the bloody requirements of manhood are a source of glory. Famously, his heroes die standing up: gratefully sacrificing themselves for a cause, be it political, fraternal or ideological. More than anything else, it is their death that gives their lives meaning, and the more gruesome the death the purer their ideals. Chang Cheh was born in either 1923 or 1924, depending on which calendar you look at. His father was the chief of staff to a general in the Shanghai area, ultimately working under the auspices of Chiang Kai-shek’s Kuomintang. During the war with Japan, Chang was sent to a military school in the interior of the country, and he eventually emerged working in the propaganda arm of the KMT in Shanghai. He helped defend a group of directors who after the war were accused of collaborating with the Japanese, but was otherwise mostly unconnected to the Shanghai film industry. In 1950, as much of the KMT fled to Taiwan after they lost the civil war with the Communists, Chang took the opportunity to direct Wind and Storm over Alishan in Taiwan, more or less on a lark. He dabbled in Taiwanese politics over the next few years, befriending Chiang’s son and heir-apparent Chiang Ching-kuo. He’s very cagey on the left-right nature of his political beliefs, seemingly wanting to be seen as occupying a middle-ground between the Communist left and the authoritarian wing of the KMT on the right. But the factional maneuverings within a military dictatorship ultimately proved not to be for him (to make the long and confusing story he tells in his memoir short), and by the late 50s Chang was in Hong Kong, working as a film critic and scriptwriter, first for the MP&GI studio and then Shaw Brothers. He directed The Butterfly Chalice in 1965, in the then fashionable huangmei musical genre pioneered by Shaws director Li Han-hsiang. Chang didn’t much care for the genre, and the next year conducted an experiment in wuxia for the studio, making Tiger Boy in black and white and with an extremely low budget, doing all the action choreography himself. That film is now believed to be lost, but Shaws swiftly went into production on a series of wuxias. 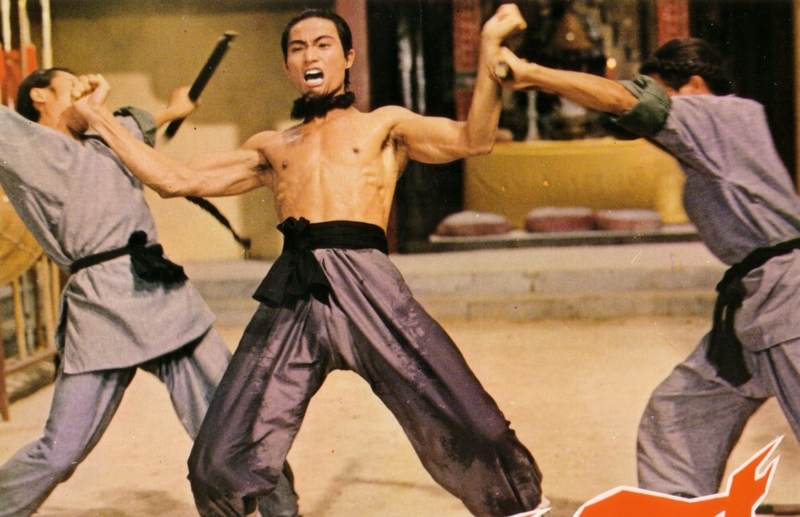 Hsu Tsung-hung’s 1965 adaptation of is considered the first and employed many of the same key figures as Chang’s early films: stars Jimmy Wang Yu, Lo Lieh, and Tien Feng, and choreographer/stuntmen Lau Kar-leung, Tong Kai and Yuen Woo-ping, all of whom featured in Chang’s color wuxia debut, The Magnificent Trio, in 1966. 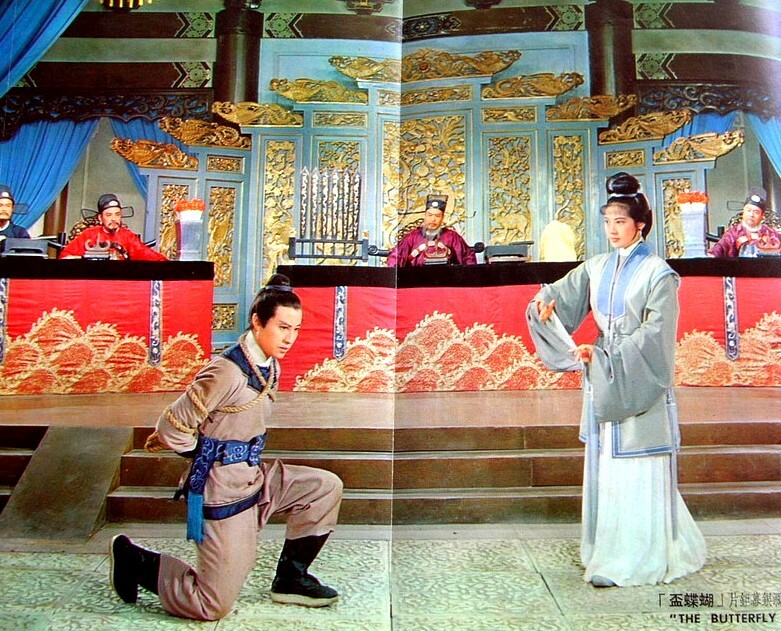 1967 was Chang’s breakthrough year, with three films starring Jimmy Wang Yu: The Trail of the Broken Blade, The One-Armed Swordsman and The Assassin. Broken Blade is a story of sacrifice, with Wang Yu going into hiding after killing the prime minister (who had murdered his father). The woman who loves him pines after him, and the young swordsman who becomes smitten with her, learning her heart belongs to another, resolves to find Wang Yu. He does, but Wang won’t reveal his identity, and much of the movie is spent killing time waiting for the swordsman to crack his disguise. In the meantime, the two recognize each other as kindred spirits, and eventually Wang Yu runs off to take on a pirate army all by himself in the hopes that he’ll get killed and the swordsman and his old girlfriend will get to live happily ever after. She literally accuses him of looking for an excuse to sacrifice himself, a drive in all of Chang’s heroes which will reveal itself more subtly in his better, later films. The One-Armed Swordsman was the runaway hit of the bunch, though Chang himself professes to be dissatisfied with its more melodramatic flourishes, and claims its visual style is too imitative of Fei Mu’s 1940 film Confucius, though it’s also the film where Chang first started to use the hand-held camera to enliven his action sequences. It’s one of the more psychologically complex of Chang’s films, with the eponymous hero’s maiming at the hand (sword) of a jealous and spiteful young woman inspiring all sorts of Freudian frenzies. The screenplay is Chang’s first collaboration with sci-fi and wuxia novelist Ni Kuang, who would write or co-write most of Chang’s films over the next 15 years, along with many other Shaw Brothers classics (he has 229 writing credits on imdb). The central conflict in The One-Armed Swordsman, as well as 1969’s Return of the One-Armed Swordsman, but not, pointedly, 1971’s New One-Armed Swordsman, is between Wang Yu’s desire to leave the world of swordplay behind to a life of simple wholesomeness in the country, and the demands of the warrior code that insists he return to the jianghu (the world outside the bounds of normal society that is the landscape of wuxia). This is the conflict of The Assassin as well, with Chang dwelling at length on the regular life Wang Yu must abandon in order to satisfy the revenge requirements of his honor code. Chang will shortly lose interest in this theme, instead focusing on the bonds between fighting men, but Lau Kar-leung will pick up the thread in his kung fu films in the late 70s, exploring in more depth the spiritual conflict between the Buddhist/Taoist imperatives to withdraw from worldly concerns and the demands of honor and social justice to take an active role in combating evil. The peak of Chang’s early period is 1968’s Golden Swallow, conceived as a sequel of King Hu’s 1966 smash hit Come Drink With Me, and starring that film’s heroine, Cheng Pei-pei. Chang had little interest in her or her character however, and the film, the story of a jianghu love triangle between her, Lo Lieh and Jimmy Wang Yu, comes alive only with the Wang Yu character, a man obsessed with proving his own martial prowess. King Hu and Chang Cheh were the key figures in the late 60s revival of the martial arts film, though in sensibility they were diametrically opposed. Chang’s films are relentlessly physical, even in this early stage, where Hu’s are more fanciful and less bound to the demands of realism in action. Where Chang was content working within the constraints of Shaws studio system, happy to take advantage of all the opportunities for work it provided, Hu repeatedly clashed with his producers, going over schedule and over budget. After Come Drink With Me he went independent, completing only a handful of films over the next decade in Taiwan and Korea. That almost every one of those films is a masterpiece speaks to the value of Hu’s method. Chang probably made just as many great films over the same period, but a lot of forgettable ones as well. After 1969, Jimmy Wang Yu moved on to try his own hand at directing, and Chang elevated Ti Lung and David Chiang, who had worked as extras and stuntmen in the Wang Yu films, to stardom. The pair would work together in a dozen or so films over the next few years. They make for a classic screen team: Ti Lung is tall and noble-looking, while Chiang is shorter, with a sly charm. They have such great chemistry on-screen that the line between brotherhood and romance becomes increasingly difficult to spot. 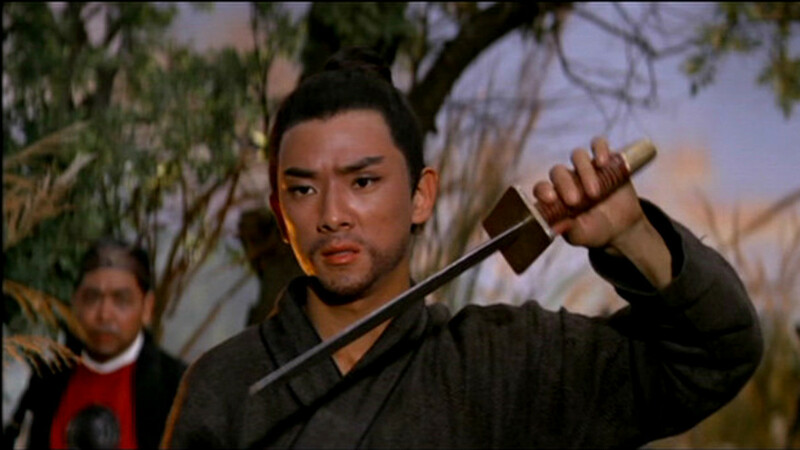 Chiang initially starred in a series of wuxia films influenced by American and Italian Westerns (Have Sword Will Travel, The Wandering Swordsman), while Ti starred in Dead End, an experiment in contemporary storytelling from Chang that would prove to be one of his more striking works, though follow-up modern films The Singing Thief (starring Jimmy Lin Chong) and The Singing Killer (starring David Chiang) were less successful. In 1970 the two starred together in a pair of Chang’s greatest films: The Heroic Ones and Vengeance!. The former is a historical epic, based on legends of the civil wars that engulfed the empire in the last stages of the Tang Dynasty. The later initiated a cycle of films set in the early 20th Century Republican era, precursors of both the modern day Triad sagas as well as Bruce Lee’s hit films like Fist of Fury. The Heroic Ones is a breath-taking war movie, with Chiang and Ti playing generals helping to rescue the Emperor from bandits. They are ultimately betrayed by two of their brothers, but both achieve glorious deaths: Ti holding off an entire army at a bridge, Chiang by execution, his loyalty to his evil brothers his undoing-he’d rather die than lose faith. Some of Chang’s finest films would straddle this line between wuxia and historical epic, including a pair of adaptations of segments from the classic novel The Water Margin, and the 1976 Boxer Rebellion, which if it hadn’t been recut (under influence of the British government in Hong Kong, to minimize the crimes of Western imperialists in the film, which might have proved dangerous during the on-going Cultural Revolution on the Mainland) might have been his greatest film. Vengeance! fulfills the promise of its titular exclamation point, with Chiang avenging opera actor Ti’s murder by gangsters in the bloodiest of manners. Ti’s death scene, intercutting his stage performance with the gang fight is especially striking, literalizing the connection between the Hong Kong martial arts film and the Peking Opera tradition. Ti and Chiang bonded over the next few years in The Duel, Duel of Fists, The Deadly Duo, Blood Brothers and more, the titles neatly expressing exactly what they’re about, but probably the most influential film from this period was 1972’s The Boxer from Shantung, which paired Chiang with newcomer Chan Kuan-tai in a story of Republican era gangsterism in Shanghai. The film would eventually help inspire the massively successful TV series The Bund, which gave Chow Yun-fat one of his signature early roles and spawned several sequels, remakes and film adaptations, including the 1996 Tsui Hark production Shanghai Grand, starring Andy Lau, and the 2015 film Once Upon a Time in Shanghai. Chen Kuan-tai would become an essential star in the next phase of Chang’s career, a series of kung fu films based in the legends surrounding the destruction of the Shaolin Temple and its connections to southern Chinese resistance to the ruling Manchurians during the Qing Dynasty period. In 1974’s Heroes Two, Chen plays Hong Hsi-kuan, Temple refugee and eventual progenitor of Hung Fist, the style of kung fu practiced by Lau Kar-leung and most famously, Wong Fei-hung. He’s paired with Alexander Fu Sheng as Fong Sai-yuk, another Shaolin folk hero played most famously in a pair of early 90s Jet Li films directed by Corey Yuen. Fu Sheng, with his youthful bangs and dopey good-natured impudence, anticipates Jackie Chan’s star persona by a few years. He’d become one of Chang Cheh’s favorite actors. Chen is the more stoically manly of the pair, with an impressive set of muscles and a noble bearing reminiscent of Ti Lung. Chang explored the Shaolin mythos relentlessly in this period, in Shaolin Martial Arts, The Men from the Monastery, Five Shaolin Masters, Disciples of Shaolin, The Shaolin Avengers, The New Shaolin Boxers, and Shaolin Temple all released between 1974 and 1976. Shaolin Martial Arts co-stars Gordon Liu (soon to star in Lau Kar-leung’s own series of Shaolin films) and Yuen Siu-tien in a performance that presages his work as the irascible teacher in Jackie Chan and Yuen Woo-ping’s Snake in the Eagle’s Shadow and Drunken Master. The Shaolin films can generally be read as loose allegories of Hong Kong’s relation to both the Mainland and the West, with either outside influence seen as a threat to the maintenance of local traditions. Chang’s films are never overtly political, though he himself has linked the violence in his work to the prevailing mood at the time of the Cultural Revolution and the riots it inspired in the colony. These films also show the heavy influence of Lau Kar-leung, both in the choreography, with its exacting recreations of traditional techniques (formal demonstrations of which would come to dominate the opening credit sequences of Chang’s films) and emphasis on the pedagogy of martial arts, the master-student relationship and the methods of both learning and fighting. These concerns continue in Lau’s own films (he made his directorial debut in 1975), the primary difference between the two auteurs being the grandeur of the violence and sacrifice in Chang’s work. Lau’s films are ephemeral, theoretical; Chang’s are always bound by blood and doom. The final great phase of Chang Cheh’s career launches with 1978’s The Five Deadly Venoms. This cycle owes as much to the vibe of Hammer horror films or Roger Corman’s Poe adaptations as to the traditions of Chinese history and folklore (in fact, Chang had worked on the 1974 Hammer/Shaws co-production The Legend of the 7 Golden Vampires). It also introduces a new cast of actors, collectively known as The Venom Mob, who engage in increasingly exhausting kung fu duels. Philip Kwok, who would have a memorable supporting role in John Woo’s Hard-Boiled, was probably the most accomplished of the Venoms, but they were all ultimately lacking in the kind of star power and charm that made Fu Sheng, David Chiang, Ti Lung and Jimmy Wang Yu so memorable. This may though be a by-product of the films themselves, as rather than focusing on one or two stars, they’re stories of collectives, each member disappearing into a whole. The Five Deadly Venoms is a detective story, and the eponymous mob play the villains, each equipped with a oddball animal-based fighting technique (Kwok plays the Lizard). The follow-up, Crippled Avengers (sometimes called Return of the Five Deadly Venoms, though it is unrelated), finds each member of the group hideously maimed in the first half of the story, then learning to use their disability as a weapon in the second half. The tendency in Chang’s work to the grotesque comes to full fruition in this period, as well as his fascination with traps and deadly devices. 1981’s Masked Avengers may as well be a horror film, with its evil cult crucifying kung fu heroes, while Five Element Ninjas is far more interested in machinery than any kind of human skill or emotional reality. His series of adaptations of his friend and contemporary Jin Yong’s novel The Legend of the Condor Heroes (source of Ashes of Time among other adaptations), the four-film Brave Archer series, owe as much to the elaborate fantasy wuxias fellow Shaws director Chor Yuen was making in the late 70s (Heroes Shed No Tears, Heaven Sword and Dragon Sabre, itself an adaptation of a different Jin Yong novel, the third in his Condor trilogy) as to any unique strain in Chang’s career, with stars like Fu Sheng, Danny Lee and Kara Hui swallowed up by dizzying plotting and special effects. Even his more traditional kung fu films of this period, such as Ten Tigers of Kwangtung, an extension of the Shaolin cycle, is shaped by its collective, with no less than fifteen heroes battling an equally anonymous band of Manchus. Lacking both the personality of star performances or the flair of Lau Kar-leung’s choreography (let alone the crazy acrobatic works being done in this period by Sammo Hung and Yuen Woo-ping), the fights in these later films just become exhausting, pummeling exercises in masochism that nonetheless probably capture the essence of Chang Cheh’s cinema as well as anything he ever made. It’s a relentlessly violent cinema, one bound by an ancient code of brotherhood that provides both moments of transcendent friendship and loyalty through sacrifice, and excludes any possibility for a better world. Women in Chang’s films become increasingly absent, and even at the beginning they only served as reminders of a world his heroes couldn’t allow themselves to enter. The most (heterosexually) romantic images in his work are brief moments like the one between David Chiang and Lily Li in The Heroic Ones, two people alone in a blasted world, knowing they can’t be together, but sharing a sunset while they can. The films aren’t exactly contemptuous of women (the castrating terror of The One-Armed Swordsman excepted), rather his is misogyny by omission: there simply isn’t any room in his conception of action cinema for women, the virtues of loyalty, honor, sacrifice being the domain of men and men alone. This is in stark contrast to his peers, where King Hu usually has women as his protagonists, building on a long tradition of female warriors in wuxia literature with Cheng Pei-pei’s Golden Swallow in Come Drink With Me, Hsu Feng’s swordswomen in A Touch of Zen, The Valiant Ones and Raining in the Mountain, or the collective heroines of The Fate of Lee Khan. Lau Kar-leung as well found terrific starring roles for Kara Hui in My Young Auntie and The Lady is the Boss, films which knowingly puncture his own masculine self-importance. Like the worlds his heroes have built for themselves, with their elaborate codes of honor and loyalty, the cinema of Chang Cheh increasingly turns in on itself, closing off any possibility of escape, becoming ever more dark, violent and empty. It’s a relentlessly bleak world, where even the most sublime moments are visions of death.